Because of our high-performance, long lasting machines, personalized, reliable service, and competitive rates, we have been the copier and printer dealer of choice for more than 30,000 businesses throughout Orange County, Los Angeles, San Diego, and Riverside. If you are interested in learning more, call and schedule a free worksite analysis with one of our expert sales consultants. Our consultants average 15 years of experience and receive ongoing product training direct from the manufacturer. 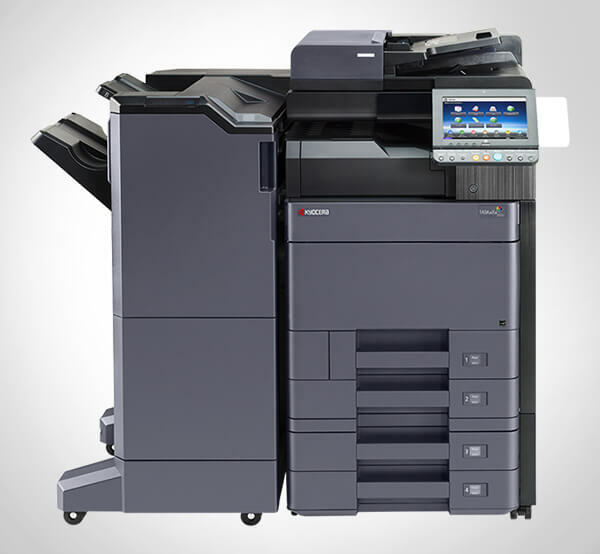 They excel at helping Santa Ana companies determine the best copiers and printers for their needs based upon an in-depth analysis. Our analysis includes a full evaluation of your existing office equipment and print production; interviews with your key users; and an assessment of your overall workflow. 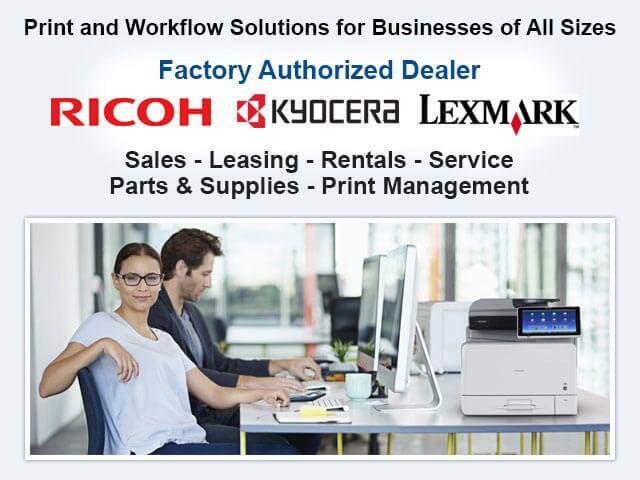 Access to the Industry's Best Copier & Printer Manufacturers - We're Ricoh's leading dealer for their Western Region and an Authorized Lexmark Business Solutions Dealer. Ricoh is the #1 US market share holder and a two-time Deming Award winner for their commitment to exceptional quality. Lexmark's printers and multifunction devices win BLI Pick awards year after year and is the top choice among 75% of the world's top retailers, pharmacies, and banks. Competitive Pricing - As leading dealers for Ricoh and Lexmark, we have the buying power to obtain the best possible rates. Expertise - Our sales consultants, service technicians, product trainers, and IT team receive on-going training directly from our manufacturers and have designed print and workflow solutions for businesses of all sizes and from every industry. Experience - We have over three decades of industry experience serving the needs of the Santa Ana business community. Personalized, Responsive Service - At Advanced Office, we take pride in knowing our Santa Ana clients by name. We have the infrastructure to respond to their needs quickly and efficiently: We have four offices throughout Southern California, live local customer service representatives, and a readily accessible technical help desk. We guarantee a four-hour average response time and excel in first-call effectiveness. 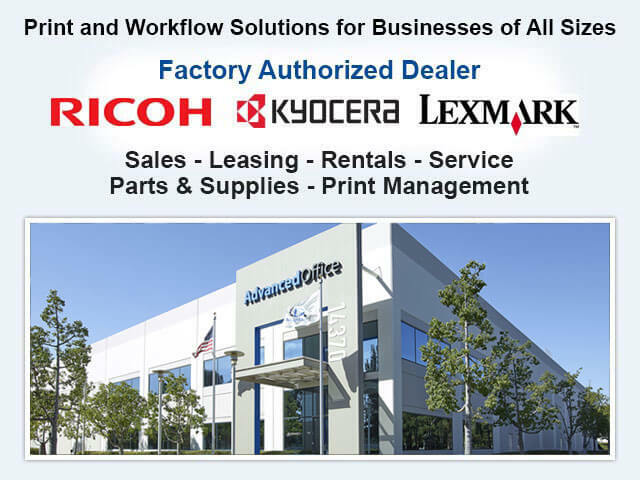 High-Quality Products, Parts & Supplies - With local access to Ricoh's warehouse and our own inventory of over $1 million in high-quality parts and supplies, we can respond to the needs of our Santa Ana clients faster than any of our competitors. All-Inclusive Service & Maintenance Agreements - We know our clients depend on their copiers and printers. Our service and supply agreement provides them with reliable service, repair and maintenance that keeps their office equipment running at peak performance. Advanced Office offers competitively priced copier and multifunction printer (MFP) leases for Santa Ana businesses. Our leasing inventory includes Ricoh and Lexmark copiers, printers, production printers, digital duplicators, wide-format printers, and fax machines. Leasing terms are available for 36 to 60 month terms at low monthly rates with no money down. These leases are not only more affordable than purchasing, but they also come with a number of tax advantages. By working with our consultants and in-house lease advisors, we will help you determine the most advantageous leasing option and the best copier and printer models for your unique business's needs. Whether you are interested in leasing one large machine or a fleet of copiers and printers, we're standing by to help you. Call today for a free onsite analysis. When you want to make sure that your Santa Ana business invests in the right copier, printer or other office device, you call Advanced Office. We have provided thousands of Southern California businesses with our expert advice and helped them obtain great rates on the industry's leading copiers and printers. 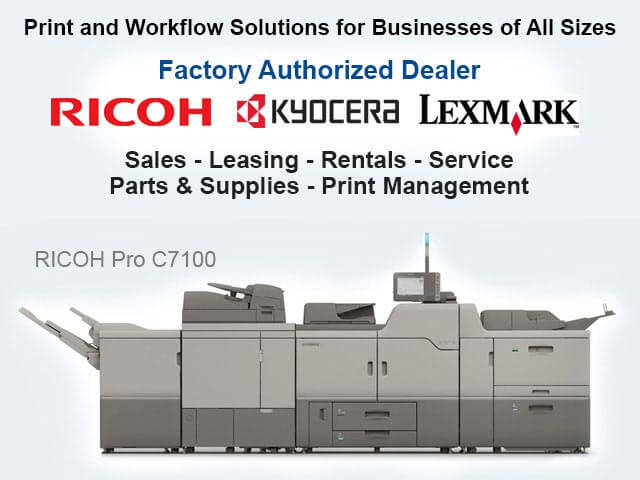 We're factory trained and authorized to sell Ricoh and Lexmark copiers, printers, digital duplicators, wide-format printers, production printers, and fax machines. These machines are fast, reliable, cost-effective, and eco-friendly. They are made with high-quality, long-lasting components and can be fully customized with additional finishing features and software. Call today for a free copier/printer sales consultation and estimate. Our experts will consider your existing equipment, the needs of your key users, current and future print-related needs, your overall workflow, and your budget before making product recommendations that are tailored to your unique circumstances. Advanced Office has provided Santa Ana area businesses with the best value in copier service, repair, and maintenance over the last 30 years. Our service team consists of factory trained and certified technicians that average over 12 years of experience. They specialize in fast response times, first-call effectiveness, and personalized service. Service contracts are available with any of our Ricoh or Lexmark copiers, printers, digital duplicators, large-format printers, production printers, and fax machines. Our clients can choose either our all-inclusive service and supply agreement or our standard parts and labor agreements. All-inclusive service and supply contracts include service, maintenance, repairs, on-site product training, access to our technical help desk, high-quality supplies, OEM parts, toners, and more. Parts and labor contracts provide many of the same benefits but exclude toners and supplies (this is ideal for Santa Ana companies with smaller commercial printers). Call today to learn more. Our refurbished copiers are always in high demand because they make it possible for our Santa Ana clients to get a like-new copier for a fraction of the price of a new one. Our certified refurbished copiers consist of lightly used Ricoh and Lexmark multifunction copiers that have come off our short-term rentals and leases. Our trained technicians then strip and clean the machine; replace all high-wear components; and perform a 60-point inspection. Once the inspection is complete, these machines are qualified for resale and service on our all-inclusive contract. Call today to discover what we have in stock--our inventory is always changing. At Advanced Office, we rent reliable multifunction devices that can copy, print, scan, fax, staple, and more at cost-effective rates to businesses throughout Santa Ana. Copier/printer rentals are available with no minimum term and provide an ideal alternative to leasing when you need a machine for a period of less than two years. Rentals are available for low monthly payments with no money down, making it an affordable option for businesses of all sizes. Plus, we offer cost-effective pricing, expert consultations and support, and unbeatable service. Whether you have a short-term need or a long-term project, large or small, we will find the perfect rental system for you. 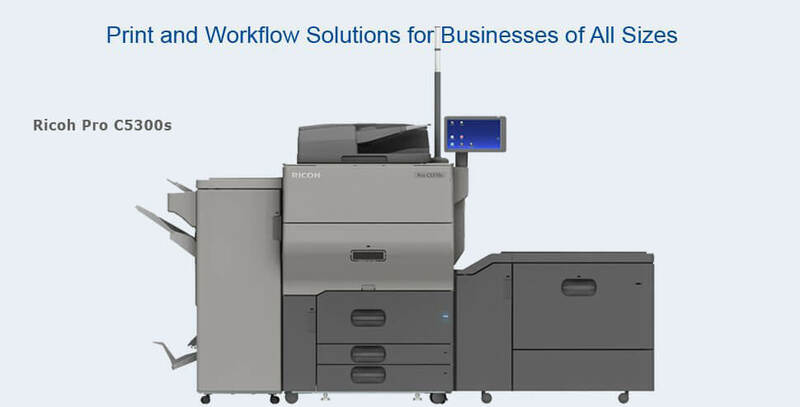 Santa Ana businesses can reduce their workflow inefficiencies by taking advantage of the latest advances in copier and printer software. 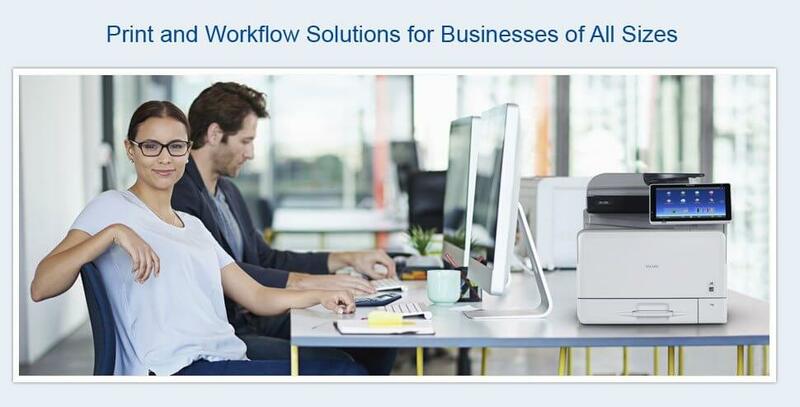 Workflow inefficiencies waste time and money, but with customized software-based solutions, you can improve security, leverage your existing infrastructure, improve document accessibility, accelerate key business processes, reduce storage costs, and more. Our state-of-the-art software solutions work with Ricoh, Lexmark, HP, Xerox, Panasonic, Sharp, Canon, and other leading multifunction device manufacturers. If you would like to learn more about our professional software services, call us today for a free workflow analysis. Advanced Office has become the trusted copier and printer dealer for more than 30,000 businesses. Call us today to discover what we can offer your Santa Ana business; we promise to deliver quality products, value-added service, and the best return on your investment.